Exceptional Home Technologies’ core strength is design and engineering. Jim Kluka, President of EHT, has 17 years of aerospace design experience ranging from designing cutting-edge jet-engine turbine hardware to ensuring the entire robotics system is properly integrated on the Space Station. 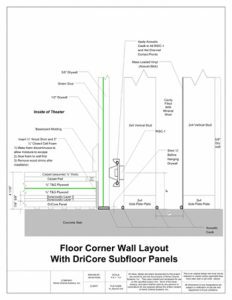 Whole-house technology systems and custom home theaters are also complex systems thus requiring a careful and rigorous design. Whole-house systems, an assembly of various products usually by different manufacturers (such as audio, climate control, and security systems), require the proper system design and integration to ensure rock-solid functionality as a whole. 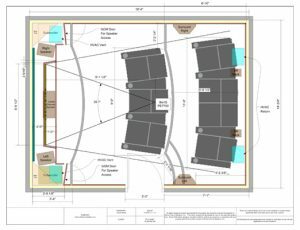 Custom home theater construction (see example below) also requires a precise and thought-out design to guarantee maximum performance. In addition, EHT can provide design services which includes a set of design plans that you can use on your own. 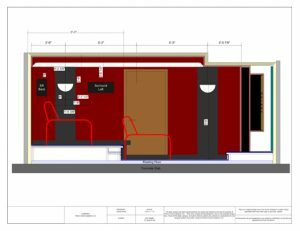 If you are a do-it-yourself individual, a general contractor, or a sub-contractor needing design assistance on your project, EHT will provide the plans and help coordinate construction and system installation. Distribution diagrams showing the locations of all equipment such TV, speakers, in-wall touchscreen controls, data outlets, security equipment, etc.